A lot is in flux right now, but the newfound free time has been enjoyable. I’m especially looking forward to the ~2 months of traveling before I have to start grad school in September. Here’s a quick rundown of what’s to come. Tomorrow, I fly to Prague for some solo travels and the 2017 International Society for Computational Biology Student Council Symposium, which I help organize. Then, on to Istanbul. Meeting friends, visiting mosques and drinking plenty of Turkish coffee are on deck. Flying back through London and Dublin to knock a few new cities off the list. Turn around with a fully loaded car (including mountain bike) and drive North, making a left turn after Toronto, and heading to Banff and Jasper National Parks. 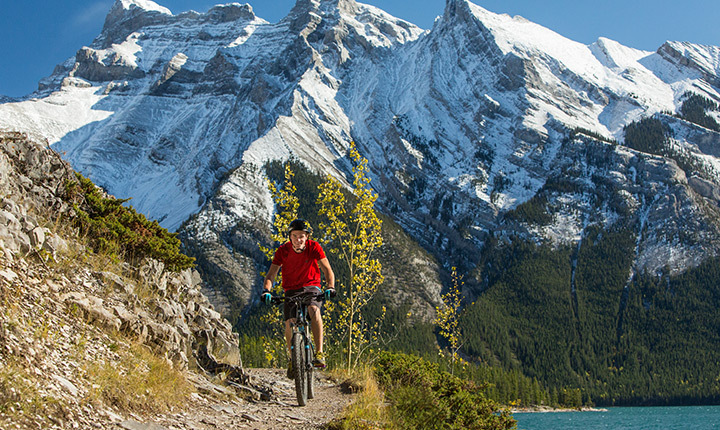 Spend a few weeks in the parks mountain bike touring and exploring the beautiful blue lakes. I’m going to make a few posts along the way, so stay tuned! Posted in Summer Travels 2017. ← What’s next: Stanford Genetics!